Today I saw a meme on Instagram which said, “We are now entering the third month of January.” I couldn’t relate more! And looking back over the past few weeks, cannot believe all that has already happened in 2018. 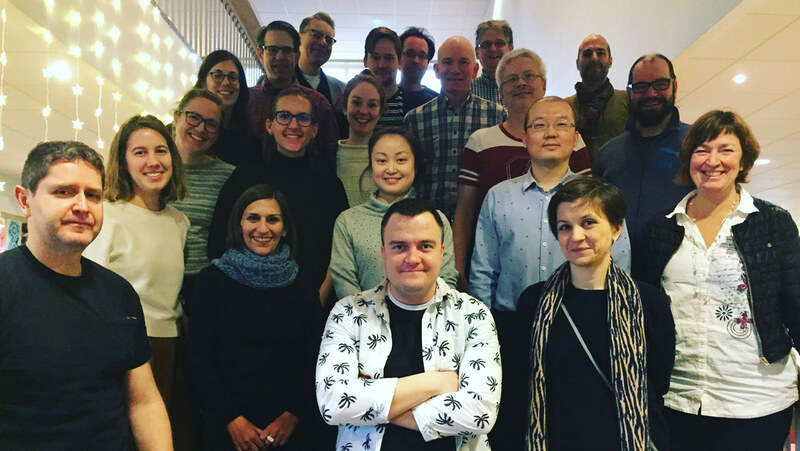 Following a paper deadline in early January, my department at KTH (Media Technology and Interaction Design) kicked off 2018 with a writers’ retreat. What happens at a writers’ retreat? We book a venue in the Stockholm archipelago for three days and two nights, and write. And sauna and winter swim, but mainly write. The primary purpose of the retreat is to provide time and space away from everyday academic duties, from teaching to admin responsibilities, in order to focus on increasing the quality and quantity of our writing output. During the three days, we follow an agile framework in which junior/senior pairs write in ~45 minute sprints and then provide ~15 minutes of feedback. In addition to intense writing blocks, lunches, dinners, and evening activities provide ample opportunities to better know our colleagues professionally and personally. Though equally as exhausting as the writing, this social time I find incredibly valuable in creating a continued collaborative culture at work. During this year’s writing camp I started a paper on a Pee-ometer, a recent project by Master’s students that I proposed and supervised in which they prototyped a wearable device that predicts when a user has to pee to investigate Machine Learning as a design material. In mid January, the Smart Implicit Interaction project had a two day project offsite. As the project is composed of differing philosophical and methodological backgrounds – i.e. Artificial Intelligence, Social Sciences, and Interaction Design – the first day consisted of a beginners overview into reinforcement and representational learning in neural networks to introduce technical terminology and objectives. During the second day, all of the sub-projects presented their current status and goals for the year. I specifically presented two ongoing design projects, data-driven design methods and the Pee-ometer. In the former, I discussed early design activities and resulting concepts from investigating the implications of screenshots as a data source. In the latter, I discussed three high-level interests guiding future project directions, including Machine Learning as a design material, interactional loops, and critique and ethics. Overall, it was inspiring to share and strategize better collaborations while revisiting overarching project objectives. Last week continued January’s streak of out-of-office research activities and into the forest. To kick off an new outdoors project, myself and three senior researchers went on a mid-week day hike 30 minutes outside of Stockholm. Not only was I surprised at a Professor’s ability to make a fire in the snow, but the excursion was both refreshing and constructive. More in the coming months! And last but definitely not least, friend and fellow PhD student Vasiliki successfully defended her thesis Making Preciousness: Interaction Design Through Studio Crafts. Her opponent Ron Wakkary gave a much deserved brilliant presentation of her work before lengthy discussions with him and the committee. Admittedly, it is selfishly bittersweet to see her finishing as she has been a tremendous support and inspiration during the first year of my own PhD. This entry was posted in AI / Machine Learning, Arduino, Implicit Interaction, Interaction Design, Internet of Things, KTH Royal Institute of Technology, Physical Computing, Presentation, Prototype, Research, Stockholm, Teaching on January 28, 2018 by admin.